Japanese for "geometric patterns", Kikagaku Moyo serves heavy-improv psychedelia with elements of German Krautrock, classic Indian raga and acid folk. The band have just announced the follow-up to 2016's 'House In The Tall Grass': their new album will be released in October - just in time for Le Guess Who? -, entitled 'Masana Temples'. 'Masana Temples' is the culmination of the band's experiences living and traveling together, with the word 'Masana' birthed by the band members themselves, meaning: "a Utopian feeling, an existence where everything can interact harmoniously and offer inspiration and understanding." 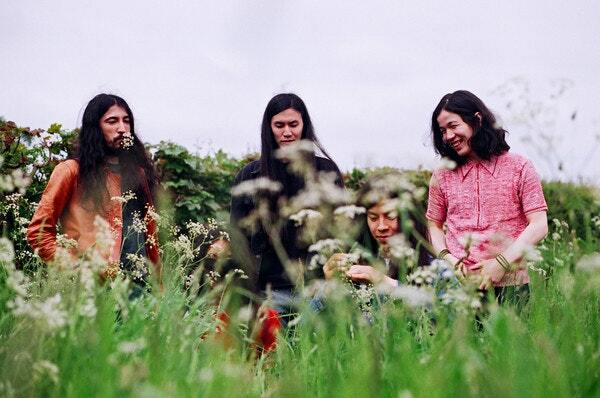 Kikagaku Moyo also offer a first taste of the album with the track 'Gatherings', a song with dreamy atmosphere and deep grooves. Listen in below. Kikagaku Moyo perform at Le Guess Who? 2018 together with a.o. Bo Ningen, The Breeders, Psychic Ills, Circuit des Yeux, FACS, Greg Fox Quadrinity, Mudhoney, Crack Cloud, and many more.